Looking for a new game to play on your Nintendo Switch, but not really the kind of person to pay without trying first? Or maybe you’re looking for a game or app you can download for free? If yes, you’ve come to the right place! 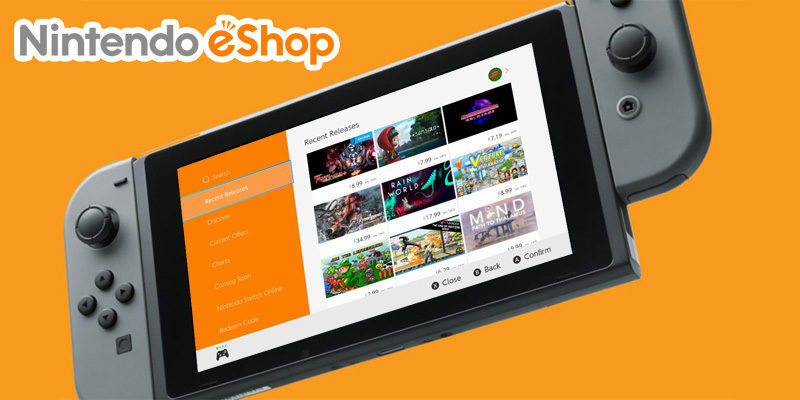 On this page, we’re going to list absolutely all the demos available on the Nintendo eShop of the Nintendo Switch, as well as games and apps available as free downloads (video services, Free 2 Play, etc.). Why just the Nintendo Switch? Well, because it’s fully region-free, which means that you can easily try out Free 2 Play games, services, or demos for games that are not going to have an official release outside certain countries (mainly Japan), or a staggered one. This is basically a sister page to our list of games with English (+ other languages) options on the Japanese Nintendo eShop! See anything missing? Make sure to drop us a line! Are you talking of the free download for Pac-Man VS? Pretty sure that’s not really a demo. Yes that is what I meant, if you don’t find it to be a demo I understand. To me, if the Arms and Splatoon games are listed here as demos, the Pac-Man VS is a demo too. I find Arms and Splatoon’s testpunch/testfire to be limited time online multiplayer stress tests, not real demos. Where as the Pac-Man VS offers an unlimited feature (multiplayer) of the Pac-Man VS game which can make one decide whether or not to buy the full game, a demo. So I don’t see why the Arms/Splatoon are ok to be called demos and Pac-Man VS is not. Just my opinion. I thought that was to play with people who own the game outright?? Hi, i think you forget put Platera DX Demo from the JP Eshop. Thanks for all the info about demos. Somehow managed to miss that one. Thanks a lot for the heads up! It’s missing ‘Rayman Legends Definitive Edition’. PS: It’s on the US eshop right now, don’t know about other regions. No you’re right, it IS available in EU too, I simply forgot to add it to the list after removing it from the “Latest demos” section. Thanks for the heads up! I wish there would be demos for odyssey and mk8d and breath of the wild even if its timed just like the stores demos. on the switch. you should take off global test punch and test fire because its not usable any more. Robonauts currently is not a demo for some reason. Apparently Super Beat Sports isn’t available as a demo anymore. Hmm… you’re right. I’ll remove it with the next update, later today. Thanks for reporting! There’s yet another free pinball game you forgot. Zaccaria Pinball, Its on the EU eShop didn’t check the other ones. I see, it’s one of this week’s new releases. It’s been added to the list, thanks for the heads up! Thanks for making and maintaining the list! Anyone else having this problem in Robonauts? Can’t progress through the game because dude doesn’t fix the laser.